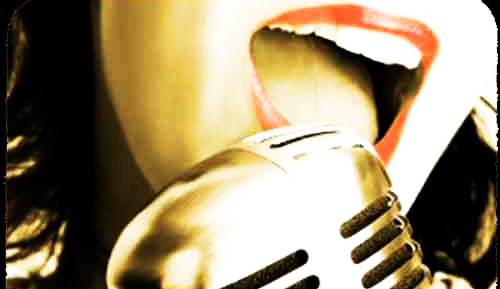 Voice modulation is necessary for making your speech interesting. If someone is speaking without modulating his/her voice, they will sound like people who are not concerned whither you listen to them or not Voice modulation makes your listeners listen to you. What is voice modulation? And how do we imbibe voice modulation techniques in our personality? These and various other aspects of voice modulation form an integral part of our unique voice modulation and public speaking course. First of all let us understand the meaning of Voice modulation. The dictionary meaning of the word ‘modulation’ when referred to voice implies, regulating the voice as per requirement of your speech. Thus, you must bring in change in pace, pause and pitch while speaking. Without modulation, your speech will be flat and monotonous. Further, you must also change the emphasis on the keyword and the tone to improve the efficacy of your speech. The following 3 objectives are Critical. 1) To enable the listener to understand you fully. 2) To enable you to express your ideas effectively. 3) To ensure that you are not repetitive or verbose. There would be many more benefits of voice modulation, but these 3 must be remembered so that you will always try to bring about a well modulated speech. During one on one conversation as well as speaking to a group or even speaking in public. Speech is a matter of habit. Habits change very hard. Therefore, unless we use highly effective techniques of voice modulation, the results will be for from satisfactory. Through various innovative modulation exercises we train our students to learn these techniques. Repetitive process enable the trainees to imbibe voice modulation practice in their day to day speech. Who should practice Voice Modulation? The one word answer to the question is: ‘Everybody’. Because everyone wants to express himself/herself clearly. Everyone wants that people should be impressed by their well modulated speech. Because everybody wants views. 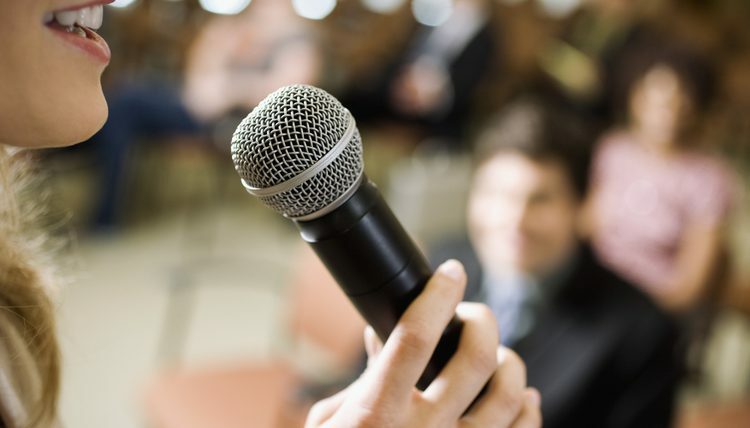 Thus voice modulation is vital for public speakers, those who want to make presentations and all those who want to succeed in influencing people. Blogs constitute the first step in making of an author, today. There never was a time when so many aspirant authors were seen to find their space. Further, if your blogs become popular, the chances are strong that when you write a book the same will also be widely accepted. That will motivate you to write more and try to become author of a bestselling book. The popularity of eBooks may have hurt the traditional book business, but more books are being written than ever before. But that is only one of the many advantages of writing blogs. The more commonly in use is the benefit of improving your writing skills in general. It will improve your vocabulary, your sentence construction and remove problems of syntax. Clarity of expression also improves your credibility as well as your productivity. Obviously good writing skills are important when your job involves writing, be it as a journalist, paralegal or public relations professional – that goes without saying. If you are employed for your writing skills, having “good” writing skills is a job requirement. However, more professions require good writing skills than those traditionally associated with writing. Any time a profession requires written communication, writing skills become important. With emails, notes, letters, texts and Tweets, most people spend a fair amount of time at work communicating via the written word. Whether you are messaging a colleague, writing to your manager, or crafting the company newsletter, your writing skills can boost or hinder your career easily, even if you do not have a “writing” profession. Basically, writing skills make a difference in how you come across. People with good writing skills are generally seen as more credible. Think to yourself how you would interpret an email from a colleague that was filled with typos and grammatical errors. At best, he was negligent in that he didn’t proofread his message or use spell check; at worst, he comes across as less intelligent and less capable. Better writers tend to get higher grades and be perceived as more competent and more intelligent than their less literary counterparts. In the workplace, you need to make sure that you proofread everything you write, from an email to a company memo. However, just because good writing skills are a plus, you still need to pick your battles. Correcting others can work against you, in some cases even undermining you. Further, context and tone are just as important as grammar. While obvious mistakes are a no-no, such as using “their” and “they’re” incorrectly, smaller errors, like confusing “who” and “whom” are less important. Learning and honing business writing skills can have a positive impact on an individual’s career advancement. Effective channels of communication make an organization run smoothly. Professional quality writing being sent through these channels improves productivity and the ability of all functional areas to work together, particularly in an increasingly global workplace where collaboration is the norm. Sales and marketing professionals are particularly skilled at using the written word to persuade customers to purchase the company’s products and services–or at least pay attention to its advertisements. But everyone in the business world finds it necessary at times to persuade someone else to take an action based on written material they have sent. The chief financial officer of a company makes written recommendations to the chief executive officer about expenditures. Human Resources tries to make a written case for hiring a particular individual to the manager to whom the person will report. Clarity in writing is one of the most difficult skills to master. Word choice comes more easily for some business people than for others. Venture capitalists sometimes receive business plans that are so unclear it is difficult for them to tell what business the company is in. Presumably, expressing it clearly on paper proved too difficult for them. In this age of text messaging, business communication increasingly comes in a shorthand fashion. Even email has a much less formal style in many companies than a letter. Taken to an extreme, this type of writing can seem lazy. If communication becomes too abrupt, it can send a message that the person receiving the message was not important enough for the sender to take the time to communicate in complete sentences or check spelling and grammar. Conversely, a carefully written email can be more impressive than a letter because it has the added element of rapid transmission–the other person was so important that the sender wanted to make sure the message arrived quickly. Business communication can be ineffective if a document does not completely express its intention. An instruction manual on how to operate machinery, for example, must not have gaps in the sequence of steps or the how-to explanations. The result of incomplete information could be failure to run the machine properly or even cause injury to the equipment operator. A financial report that has the quality of completeness would be one that answers the reader’s questions before he has time to ask them. Supervisors and business associates who express themselves well in writing inspire a feeling of confidence in their abilities from employees or colleagues. Sharp writing conveys the impression that a sharp mind composed the words. Sloppy writing, on the other hand, can make others conclude that the creator is not intelligent. Some might even question their job-related competence. Hope you find it very useful for not only writing blogs but also for enhancing your expression in general. These are widely read and highly appreciated by my connections on LinkedIn, friends on Facebook and followers on twitter totally about 27000 people. As recommended by some friends, I am posting the same here. You may ask questions and/or post your comments which be appreciated. Hope you will find the initiative very rewarding. 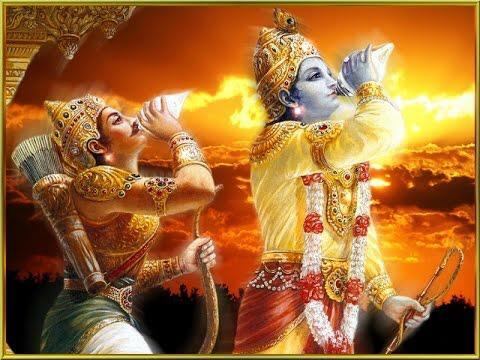 The dialogue between the Lord Almighty, Krishna, and Arjuna sets an example of perfect communication. Krishna tries to explain meaning of life, importance of understanding one’s duty and devotedly performing the same in simple language. However, due to complexity of the subject, Arjuna is not able to grasp and assimilate many things. 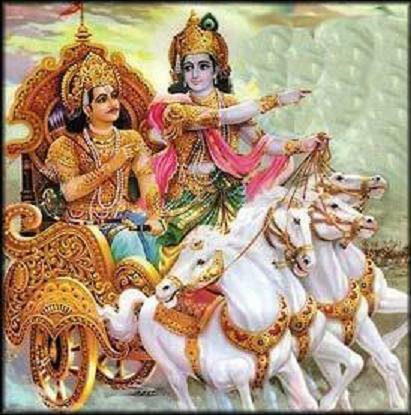 In such situations, even knowing fully well that Krishna is God Almighty, Arjuna questions the Ideas propounded by the Lord. He does not accept everything without understanding, without talking about his personal difficulties in respect of views, advice or direction. Their frank and free dialogue teaches us the importance of assertiveness. Assertiveness, among other things, also means that never say ‘yes’ if you need or want to say ‘no’. But we must know how to say ‘no’. By and large people hesitate in doing so. The result is that either they slog and suffer or they prove themselves to be unreliable. Lack of ability to be assertive on the part of the employees and unclear and poor communications cause immense loss to the organisations. At home this inadequacy plays havoc in the family relationships. 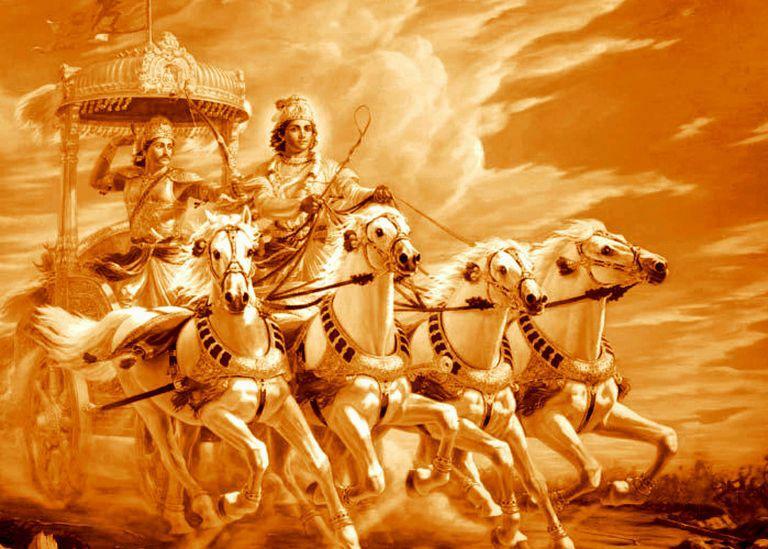 Lord Krishna said, “I had imparted knowledge about the traditional yoga to the sun Lord Surya. He had communicated the same to his son Vivasvan Manu who in turn taught the same to his son Ikshvaku”. 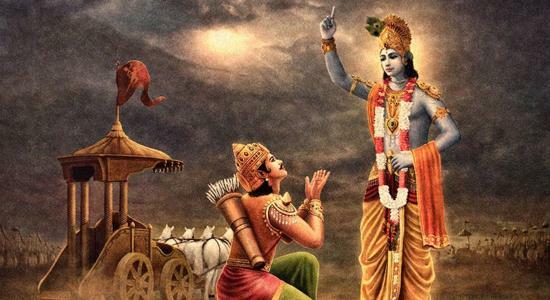 We observe that Arjuna asks Lord the Almighty anything that he doesn’t understand without any hesitation. But, today, we commoners hesitate to ask questions to the Gurus and our bosses even when we do not understand. This results in fallacious knowledge and the consequent avoidable problems. Please share this post with your friends for greater awareness, should you like it. Thanks. In literature, verisimilitude denotes semblance of reality. Great authors are adept in creating verisimilitude to heighten the effect of storytelling. The fact is that this reality itself is an illusion- maya created by the Almighty. In this illusory world, people become bound by this maya. They keep on playing their roles without realising what they are up to, without stopping to think, who am I, what I am doing or what is my goal. Therefore, knowledge is given such an elevated status. Knowledge enables you to see through this maya. Knowledge brings the realisation that accumulating worldly possessions is of little gain if the person has to trade his personal peace to achieve these. The knowledgeable know this deeply. He/she carries out their duty in an unattached fashion and lives life accordingly. But the knowledgeable is advised by the Almighty Himself not to disrupt people of lesser wisdom who remain engaged in performance of their duty for material gains. Nevertheless, they too contribute to the growth of human society, humanity at large. 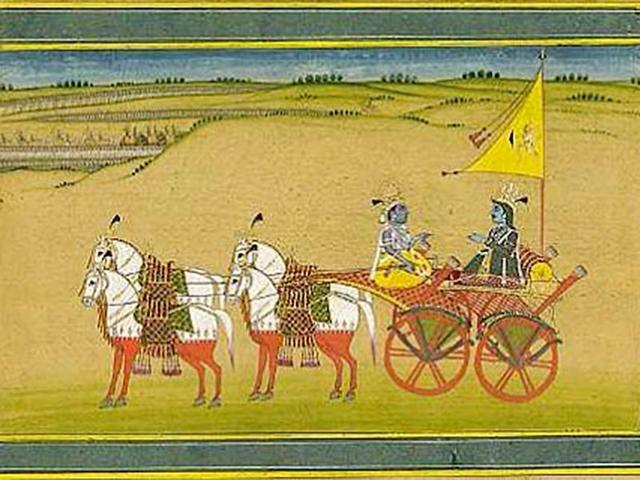 There are certain wrong impressions about the core message of The Bhagavad Gita. It’s often believed that according to the great book of knowledge an individual has the obligation to perform his duty. But he or she has no right over the fruit or the result of their efforts. It’s a myth. 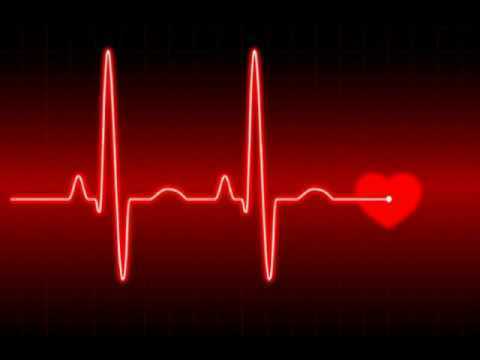 When you perform your duty wholeheartedly, the results are bound to be good, and these are all yours. 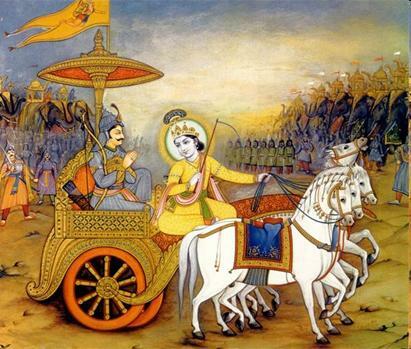 The core message of The Bhagavad Gita is that we should not be attached with the results. We should not keep on looking at the desired fruits of our efforts. Things don’t happen the way we have planned. When we keep expecting the fruit or fulfilling of the personal interests, the quality of our efforts will be affected. In fact, that is shortsightedness. It leads to, or is the root cause of corruption. We start taking shortcuts. We want to become rich overnight. One thing leads to another. Greed grows. The final result is disastrous. Making efforts as your duty demands, without attachment, would mean that we remain unperturbed because of the on the job rebuffs. We will keep following the right path. Achievement will surely come in proper time. So, a feeling that we have no right over the fruits of efforts is fallacious. The knowledgeable and the wise understands that our significance in this life is best served if we serve the Almighty, the Super soul incorporating the entire humanity selflessly. This service is the greatest form of worship. No rituals are required for the service of mankind. All that is needed is performance of one’s duty which is dedicated to the upliftment of those who are suffering and who need help. Some people, who strive to work hard to get the rewards of their efforts in achieving what they want in the form of worldly possessions, they get them. But these are transient, perishable, because all these are left behind when we depart and leave this body. The wise does not get attached. All achievement are made for the progress of society. There is no doubt that nothing worthwhile is achieved without contributions from the other members of the society. The worst is suffered by the person of tamasik nature, when the person hates to work. Laziness, procrastination and indecision leading to inaction produce guilt in the mind and the concerned one suffers. Lord Krishna says, “Hidden amidst My yoga maya (illusion), I am not visible to everyone. Therefore, ordinary people are not in a position to realise My presence everywhere. I am birth less and immortal unlike common human beings”. “Whoever has lived and whatever has happened in the past, I know it all. I know about the present and the future. But whoever is not My true devotee will never understand Me, realise Me”. “Born out of desire and envy, people get pleasure or pain. These are the ones who are enamoured by My maya and remain in their own ignorant world. They are not the seekers of truth. They remain devoid of knowledge”. Quest for knowledge is the first step towards self realisation. Who am I? What am I doing? what is my significance? What is the purpose of my life? When you contemplate on these pertinent perennial questions, your anxiety, worry or stress of any kind is bound to vanish. You start understanding life. You realise that life does not offer poetic justice. You start accepting life as it is and become a person at peace with self. The persons whose wisdom is captured by the desire to own the worldly possessions, motivated by their dominant attributes, start worshiping deities. The Lord Almighty helps in them to strengthen their belief and make them more focused in their objectives. Thus a person with faith is never a loser. In fact, someone who lacks faith, who also lacks in self belief, is the one who has lost path and is not even able to pursue his own goals. Faith helps to shape your actions. Self belief gives you the confidence that you are able to achieve what you desire. That motivates you to be consistent in your approach. But if you lack faith, you are bound to lose your path. Instead of building your self esteem by trying your best to reach your goal, you get distracted and in such a situation, it is not possible to persevere in your efforts. Therefore, you are not able to achieve what you want; your efforts are wasted. Faith in God and self belief followed by consistent hard work constitute the necessary ingredients of your achievement, your success. There are four types of devotees: 1. Those who worship God with a desire to achieve material, worldly objects. 2. Those who are in dire difficulties and want to come out of these. 3. Those who have quest for knowledge. 4. And the wise. 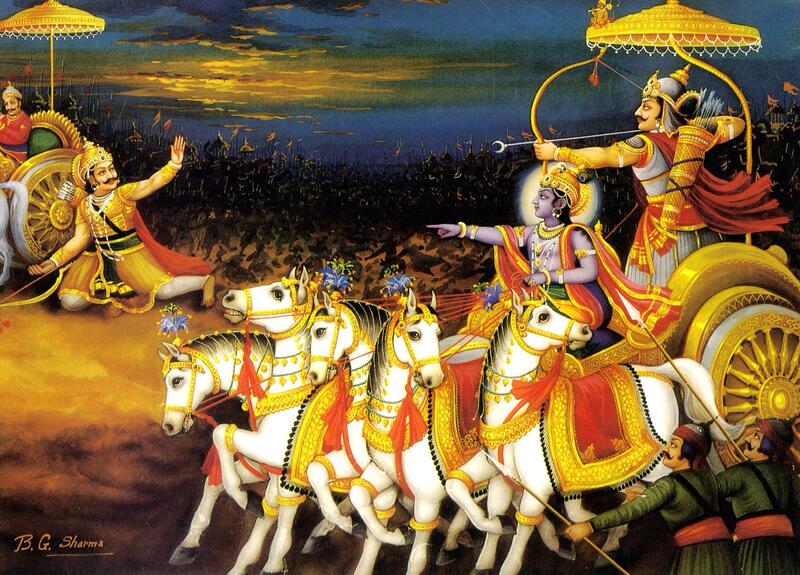 Lord Krishna tells Arjuna that all the four types of devotees are dear to Him. But the wise or the knowledgeable is most loveable because such an individual is, in fact, His own reflection, who has merged in Him, realised Him. The individual who finds God in everything around is always at peace with self. There is no stress, no worry, no difficulty, even no calamity that can disturb mental stability and peace of such an individual. No doubt, it is rare to find such a sacred soul. At the same time, we observe that response of everyone is not the same to the dreadful circumstances. Life is like an ocean: sometimes calm and peaceful, but at other times, it may turn violent and full of fury. But for the knowledgeable that is life, different facets, a constant battle between the good and the evil, a unique creation which is our reality. There are three tendencies present in the mind of any individual. These are – ‘Satvaguna’, ‘Rajoguna’ and ‘Tamoguna’. Satvaguna drives the person to pursue the spiritual and saintly activities; Rajoguna promotes desire for worldly possessions, and Tamoguna drives one to be lazy and insolent who avoids to do any work. The three tendencies-Satva, Rajas and Tamas interplay among themselves in any ordinary individual all the times. 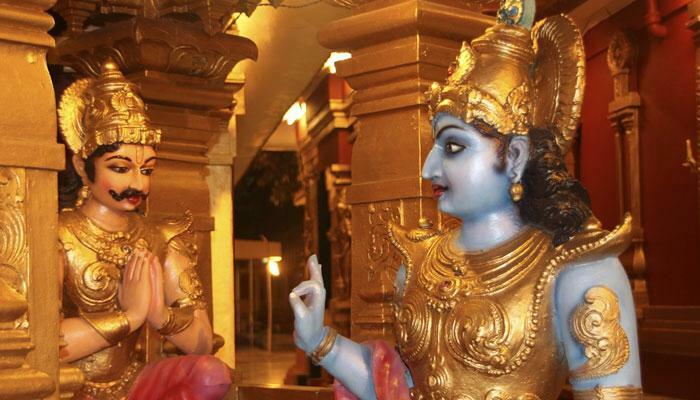 When Satvaguna becomes strong overpowering the other two, the individual gets engaged in devotion to the Almighty, works for the good of humanity, performs duty without being attached to the results. Likewise, Rajoguna suppresses the other two and Tamoguna becomes dominant among the three at different times. 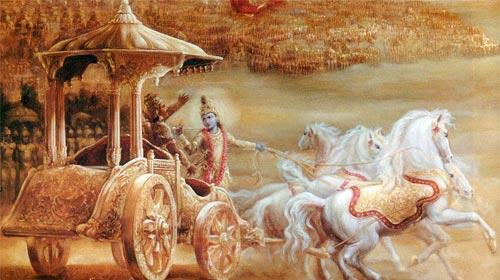 “Arjuna, I am the immortal seed of life on earth. I am the wisdom of the wise and I am the divinity of the divine. I am tapa(penance) of the saints. I am the courage of the brave; knowledge of the knowledgeable; heat of the fire; life in all living beings. ” Thus, excellence in any activity is the gift of the Almighty, His grace. When we know this, we are motivated to do our best in whatever we do because that is nothing but service to Him. Insolence is against His wishes. Inactivity takes us away from Him. The application of mind, all inventions and developments of the material and the intellect invoke His divine pleasure. The lessons that we draw will never allow us to lose our chosen path. The consistency and perseverance without which no worthwhile project can be achieved are His grace. This should be considered by us as our worship and devotion to Him. In fact, performance of our duty to the best of our ability takes us closer to Him when it’s performed without any selfish motive.